April’s nearly done but BAFTA still has some tricks up its sleeve. It’s also got a big bag of shiny things lined up for May, too. In particular, there’s an entire day dedicated to this year’s Television Craft and Television Programme Nominees, with speakers that include directors, performers, writers and editors. But frankly, I’m too lazy to copy, paste and style that lot up so it’s best if you go over to the BAFTA web site to find out all about most them. Off the back of their most recent nomination for Grayson Perry: Rites of Passage, Grayson and Neil will discuss their career to date, the challenges they’ve faced and what they’ve learned along the way. Inside the Operating Theatre, a brand new 20×60’ series for UKTV’s premium entertainment channel W, offers viewers exclusive access to the busy day surgery unit at Queen Elizabeth Hospital in King’s Lynn, Norfolk. With cameras rigged across four operating theatres, it provides a unique view of what it’s like for the 75 staff performing around 100 operations a week. They carry out a huge variety of life-changing procedures, from cardiology through to complex orthopaedics. The team includes everyone from the fastidious cleaner to the most experienced of surgeons – plus a whole host of nursing and surgical staff. Despite the serious moments, there’s plenty of laughter and no one lets a patient go home before they’ve had a nice cup of tea. The series also gives an intimate insight into patients’ lives, meeting them on a day that they’ve been anticipating for months. Their surgery will often revolutionise their quality of life. We meet people hoping to have their sight saved; others desperate for a cure for their chronic pain; and even patients coming to find out if they have cancer. Inside the Operating Theatre is produced by Brown Bob Productions and builds on UKTV’s popular ‘Inside the…’ franchise, following the successes of Inside The Ambulance and Inside The Vets. The first episode will be screened and will be followed by a Q&A with UKTV’s Head of Factual and Factual Entertainment Hilary Rosen, Brown Bob Productions Creative Director and Co-Founder Jacqueline Hewer, and Series Producer Audrey Neil. 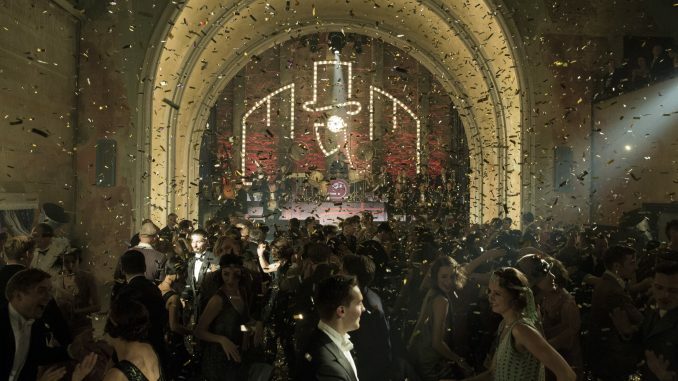 The series follows Detective Inspector Rabbit (Matt Berry), a hardened booze-hound who’s seen it all, and his new, hapless, by-the-books partner (Freddie Fox). While they’re investigating a local murder, the lewd but insightful adoptive daughter (Susan Wokoma) of the chief of police joins them, becoming the country’s first female officer. Together, the trio must fight crime while rubbing shoulders with street gangs, crooked politicians, Bulgarian princes, spiritualists, music hall stars and the Elephant Man. Year of the Rabbit is directed by BAFTA-nominated Ben Taylor (Catastrophe) and written by Emmy-winners Andy Riley and Kevin Cecil (Veep). TMINE’s holiday break last week not only affected my TV viewing, it also had an effect on my movie watching, too. As a result, despite this being Orange Wednesday, I only had the time to watch one movie. 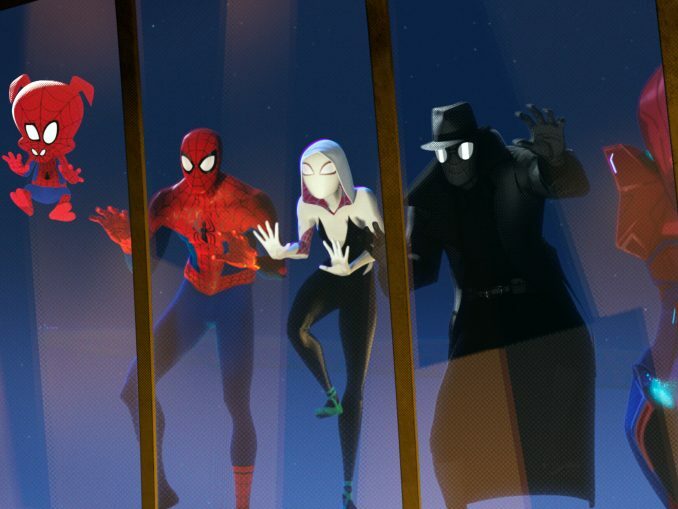 Excitingly, it was a recommendation from the TMINE-reading public, too: Spider-Man: Into the Spider-Verse, in which various, famously voiced versions of the even more famous wall-crawler come together from different dimensions to fight the notorious Kingpin, tell an origin story and reveal what it takes to be a hero.